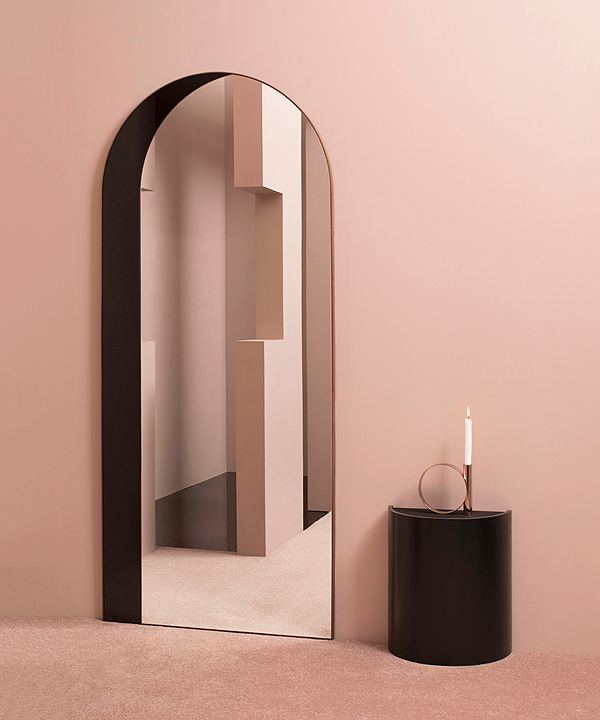 Triode gallery in Paris offers Arch Mirrors by new york based studio Bower. Arch are composed of pieces of glass mirror of varying tints that together create an elegant optical illusion of three dimensional windows and doorways. The tints are arranged by tone to enhance the shaded effect on the different planes of the shape. Each mirror is framed with a line of thin solid wood. 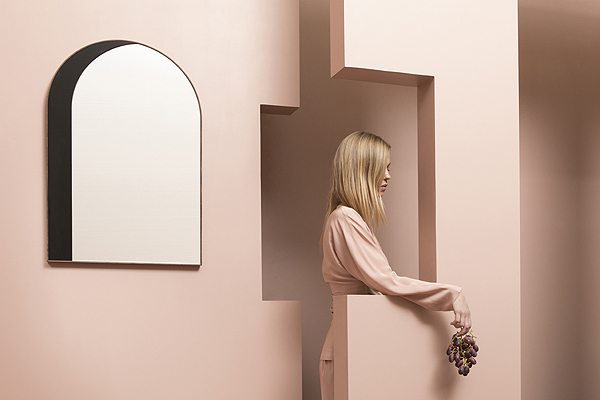 Bower is a New York City based studio with a multidisciplinary approach to contemporary furniture and product design. Finding intriguing characteristics in anything from plants and animals to toys from their childhood, they dream up completely different functional applications, often culminating in surprising results. This process is Bower’s happy place, experimenting and exploring a detail that has caught their interest without being sure how it will manifest itself in the end. Danny Giannella and Tammer Hijazi, the Design Directors, founded Bower in 2013. Jeffrey Renz joined the studio in 2014 as the Development and Sales Director.